Anne Oxborough began her career as an English and Drama teacher, working in secondary schools in Hampshire, Yorkshire and Devon for 16 years and joined Exeter College as a lecturer in English in 1991. In 2001 she was appointed Head of the Faculty of English, Languages and IB and was subsequently promoted to Assistant Principal in 2007, joining the College’s Senior Leadership Team with overall responsibility for A Levels, IB and the College’s Reach Academy. Anne was a key player in a period of rapid and dramatic improvement for Exeter College in the following years, which culminated in the achievement of Grade 1, ‘Outstanding’, for Teaching and Learning, Learners’ Outcomes and Leadership and Management in March 2012. In February 2013, Anne retired following a successful career as a highly regarded, student-centred lecturer, tutor and senior leader. In recent years she has also been a governor at Isca Academy Trust in Exeter. 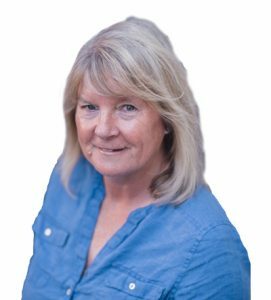 Anne has one adult daughter and in her spare time enjoys any number of activities, ranging from theatre and the arts to music, dog walking and tennis!